I know it has been a long wait for those that have been emailing for assistance with servos and controls but finally, I’m happy to introduce the Servo Motion Mastery Course. 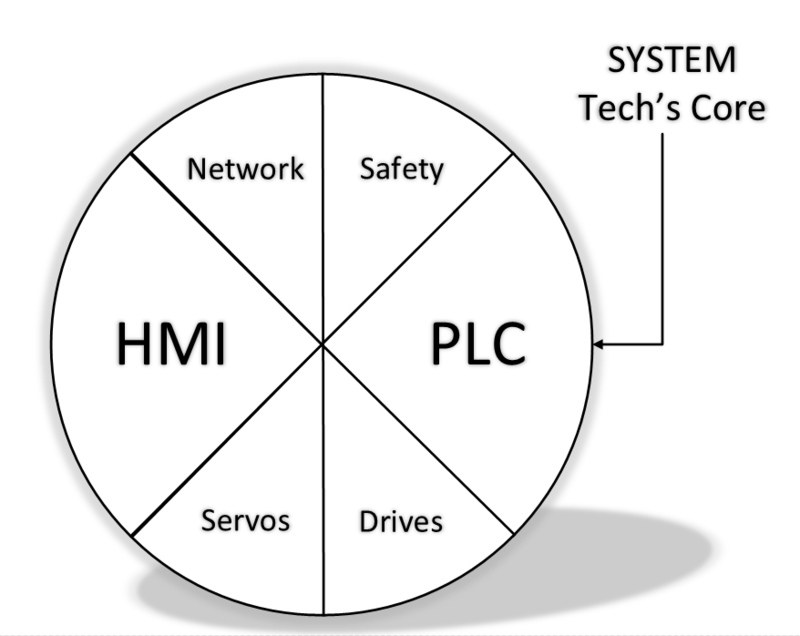 This course has over 11 hours of video-based training about Allen Bradley PLC servo controls and is laid out to produce a solid servo technical course that is easy to understand but packed full of well-rounded knowledge. In our plc training, I start the process from scratch so that nothing is missed for those that are just starting and for those that just need a refresher. This online video training uses a physical servo system which is a Kinetix 6000 with an L73 processor along with showing the virtual side of the world as well so that all elements are covered. Meaning, using physical hardware and the use of RSLogix 5000 emulation with a virtual axis gives the strongest foundation for you to get a solid foundation. 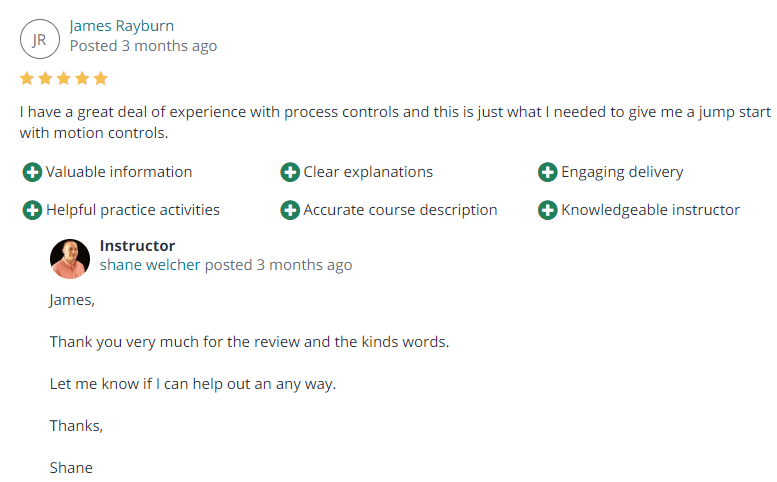 I started Online PLC Support to provide the best plc training I can and am 100 percent serious about helping people learn to be a better version of themselves in their technical careers. Even if you do not have a career in a programmer yet, this will help you because you never know what the future holds and what could be around the corner. To show an example of one of the videos in a module from the Servo Motion Mastery course, I have released a few videos on YouTube to provide help to everyone who follows me and my courses get as much learning as they can. The goal of my courses such as Servo Motion Mastery and Advanced Servo Motion Mastery is to add value along with making it known that these are the top servo courses released on the internet. I will not stop producing videos and training courses until everyone that wants to better themselves has been helped, whether through my free videos on YouTube or through my paid courses that I have made, or even my online coaching that I do. Feel free to reach out to me if you need to, I will help out in any way that I can. 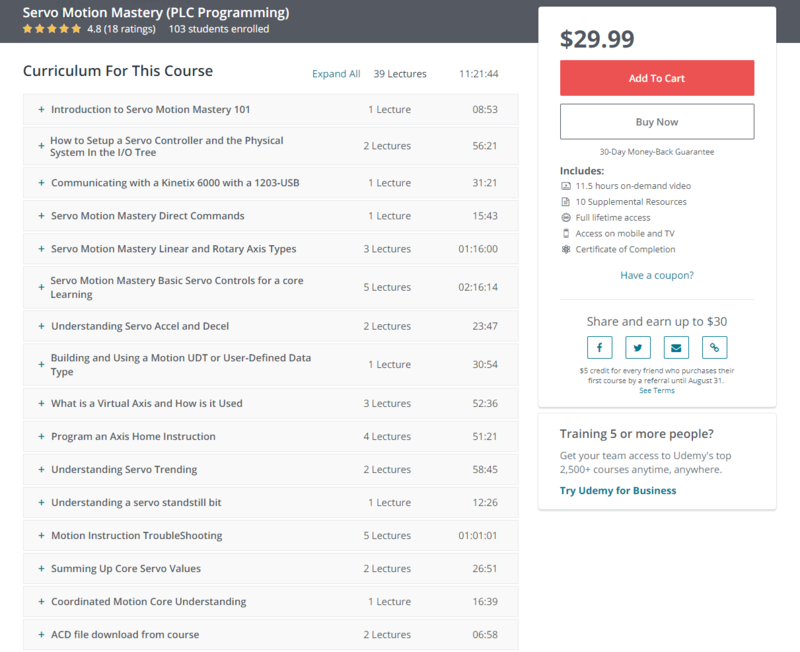 If you are interested in Servo Motion Mastery training but the price is what is holding you back then please contact me at my Patreon Member Area and I will see if there is anything I can do but keep in mind, the first 100 people already get a special discount offer. The custom RSlogix 5000 add-on instruction that we just made is put to use in this video to give a great understanding.